What’s better than rocking a new workout outfit to your next fitness class? Nothing boosts motivation and confidence like a sleek new pair of leggings or strappy sports bra to show off under that open-backed tank. 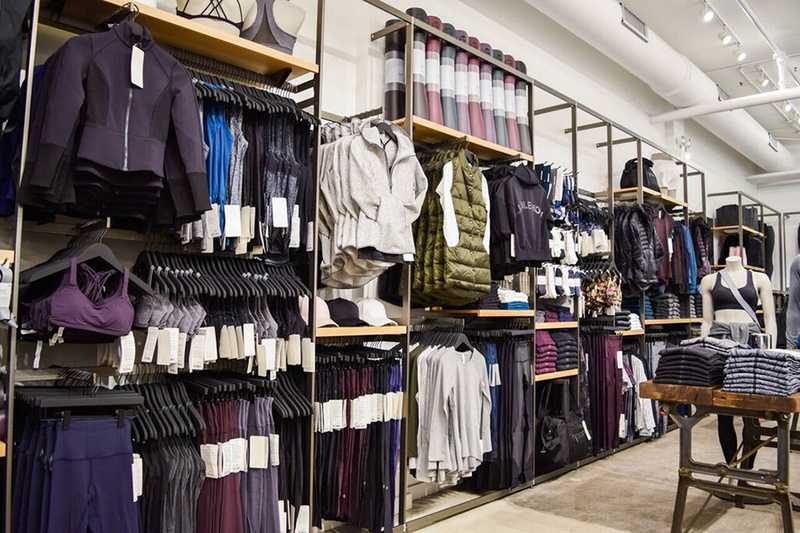 Now you can pick up a stylish Lulu set at the new Harvard Square Lululemon seasonal store and then stick around for a free workout class after. The shop is hosting a whole slew of free workout classes every day for four weeks. It just opened its doors about a month ago on Brattle Street, and carries a little bit of everything from the athleisure brand’s line, including leggings, tops, and sports bras. With the seasonal store staying open until January 6, Cambridge residents and college students alike can take advantage of the store as a sort of community space to sit and take a break or get some work done. And even better? The four week Sweat Series begins on September 8 and lasts until October 7. Among the free classes, which take place every day, will be CorePower Yoga, Barre & Soul, a run club lead, and yoga classes hosted by local instructors. Put those yoga pants to work. Saturday, Sept. 8: 9 a.m.-10 a.m. CorePower Yoga with Robbie Mannke. Sunday, Sept. 9: 10 a.m.-11 a.m. Vinyasa with Taryn Burns. Monday, Sept. 10: 6 p.m.-7 p.m. Vinyasa with Emily Thomas. Tuesday, Sept. 11: 6 p.m.-7 p.m. Vinyasa with Sophie Lyons. Wednesday, Sept. 12: 6:30 p.m.-7:30 p.m. Lululemon Run Club. Thursday, Sept. 13: 6:30 p.m.-7:30 p.m. RunCore Pilates with Christie Wang. Friday, Sept. 14: 12 p.m.-1 p.m. Vinyasa with Zahra Zadeh. Saturday, Sept. 15: 9 a.m.-10 a.m. CorePower Yoga with Robbie Mannke. Sunday, Sept. 16: 10 a.m.-11 a.m. Vinyasa with Taryn Burns. 25 Brattle St., Cambridge, 617-661-5399, facebook.com/lululemonboston.